The Wii U has had a rough time this past year, but is slowly finding its footing. The Wii U has been performing incredibly well in its home country of Japan, and games like Super Mario 3D World have given the Wii U a shot in the arm in the US. The software drought that plagued the Wii U is slowly ending, but the Wii U needs games, and lots of them, to succeed against Microsoft and Sony’s next gen offerings. Thankfully, Nintendo has what looks on paper to be a very impressive 2014 lineup for their home console. A lot may be riding on Watch Dogs’ performance on the Wii U. Multiplatform games, particularly the rated M ones, have not been faring well on the Wii U, and developers are beginning to question whether it is worth bringing these efforts to the console. As a brand new IP without established roots on another console, Watch Dogs may have a chance to sell well on the Wii U, which would certainly be a boon for Nintendo. The game itself actually makes a good deal of sense on the Wii U. The game focuses around a character who can use his smartphone to manipulate the world around him, so the Gamepad makes quite a natural companion to the gameplay. If Ubisoft takes the time and effort, this game could show why multiplatform games may be worth buying on the Wii U. Speaking of the Gamepad, it makes certain experiences more natural to the Wii U than they would be on its competitors. One example of this is Tengami. Tengami is a game developed by many former Rare employees that presents a lovely pop up book art style that resembles Okami mixed with Paper Mario. The mellow touch based gameplay was natural for the iPad, but the gameplay was hard to translate to a traditional controller. The Gamepad has made the transition seamless, and gamers will be able to check out this adventure in the coming year. I may be in the minority here, but I love spinoffs. Spinoffs provide the opportunity to see our favorite characters in new and unique settings. Tecmo Koei and Nintendo’s previous spinoff collaboration was the fantastic Pokemon Conquest, and I’m hoping that their latest collaboration will be similarly awesome. The Legend of Zelda is one of the best gaming franchises ever, but combat has never been its strong point. In Hyrule Warriors, Link will have a chance to flex his muscle and lay the smack down on waves and waves of enemies with his traditional weapons. Warriors games are not known for their depth, but Hyrule Warriors looks like good dumb fun for Wii U owners. Ubisoft’s Ubiart engine is what powered the stunning Rayman Origins and Legends games. Allowing a melding of high tech shenanigans with classic hand drawn art, Ubiart has helped create, for my money, the last generation’s best looking games. Ubisoft is taking this engine outside the Rayman series with Child of Light. Child of Light is a distinctly old school game that combines classic turn based gameplay, a fairy tale setting, and beautiful graphics into a package that should make RPG fans froth at the mouth. 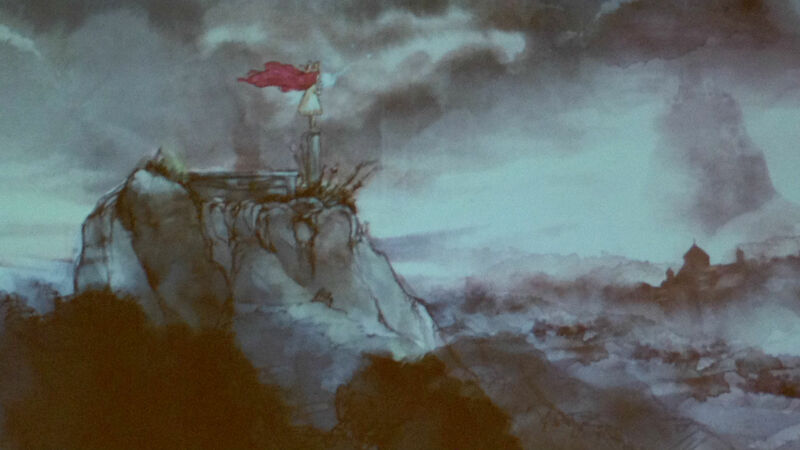 If the game plays as good as it looks, Child of Light will be a welcome addition to the Wii U’s library. With Kirby’s Epic Yarn, developer Good Feel proved that creativity was more important than clock speed by providing one of the most beautiful games of its generation on the underpowered Wii. Exploring the arts and crafts world of Epic Yarn was simply a joy with visual delights around every corner. Epic Yarn was a mellow platformer oozing with creativity in visual design and level design, but its lack of challenge turned off longtime gamers. 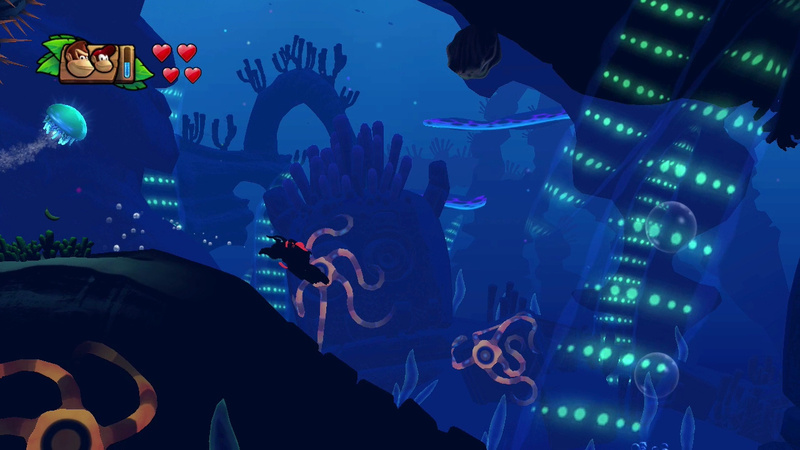 Game director Takashi Tezuka, (Yoshi’s Island, New Super Mario Bros. series), has discussed adding a better balance difficulty for the spiritual sequel to Epic Yarn. Yoshi, beautiful art style, HD graphics, veteran game designer, and Shy Guys. What more do you need to get hyped? Nintendo hasn’t officially announced this game for 2014, but I expect to see Yoshi’s Yarn drop right around October. Tropical Freeze has already gotten a bad rap on the interwebz. After months of teasing regarding Retro Studio’s latest project, fans were a little underwhelmed by the fairly safe decision to continue on the Donkey Kong franchise. Matters weren’t helped when Nintendo made the unprecedented decision to appear at the VGX awards promising a new reveal, and then showed off only footage from the latest Donkey Kong adventure. Donkey Kong Country: Tropical Freeze may not have been the most exciting or unexpected reveal, but it’s important to remember that Donkey Kong Country: Returns was the best 2D platformer of its generation (naturally that’s just my opinion) and Retro Studios has produced nothing but quality over its lifespan. I may have griped when Retro announced Donkey Kong instead of a new IP at E3, but that doesn’t mean that I won’t play the hell out of DK’s latest adventure. Of the Wii U titles shown off so far, Mario Kart 8 may be the most impressive from a visual standpoint. While it may not be as impressive as games on the PS4 or XBox One, Mario Kart 8 is a clear visual jump over last generation offerings. Mario Kart 8 is what you would expect out of a Mario Kart game with the added wrinkle of twisty Mario Galaxy inspired antigravity tracks. Mario Kart 8 may be exactly what you’d expect, but that isn’t always a bad thing. If you haven’t played Bayonetta, imagine something like Devil May Cry or God of War turned up to 11. Bayonetta took the silliness and excess of the hack and slash genre to ridiculous extremes and created a fluid, fast, over the top crazy, and, most importantly, amazingly fun experience. There is just nothing like ripping a giant angelic being to pieces using a monster created out of your hair. Its transition to a Nintendo exclusive title has seemingly done nothing to tone down the comically excessive sexuality and violence of Bayonetta. Bayonetta 2 looks to be every bit as awesome as its predecessor with a face lift and a shiny new co-op mode. Bayonetta was one of the greatest hack and slash games ever made, and I’m eager for more. We don’t know much about Monolith Soft’s upcoming game X, but what we do know offers plenty of reasons to be excited. We know that X is being made by the talented team at Monolith Soft. We know that it is a spiritual successor to Xenoblade, a fantastic game that trimmed the fat from the JRPG genre while emphasizing what made JRPGs so great in the first place. We also know that the game is confirmed for a US release, so Westerners won’t be left in the dark again. 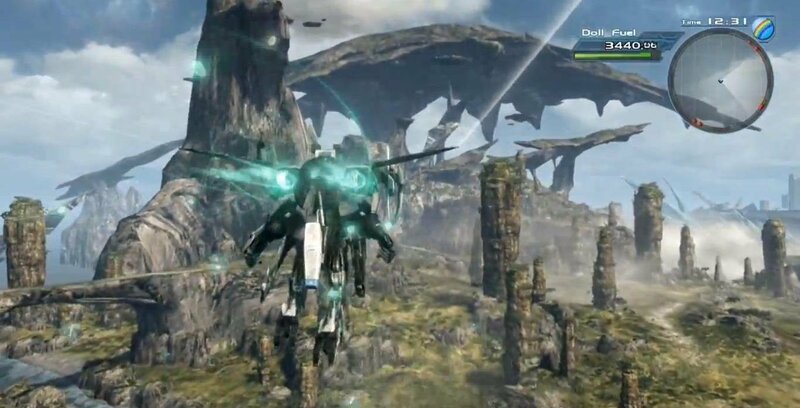 Xenoblade seems to keep the aesthetics and battle system of Xenoblade with a healthy dose of HD and giant mechs. We’ve only seen two trailers, so it may seem premature to be so excited, but if you’ve played Xenoblade, you’d understand. For all the accusations of Nintendo milking their franchises, Nintendo’s big series typically only come along once per console. Fans haven’t had a new Smash game in more than half a decade, so it’s easy to see why people are so hyped for this game. Like most fighting games, Smash Bros for Wii U doesn’t stray too far from the established formula. Fighting games evolve by subtle tweaks and added characters. We don’t know quite how the physics engine has been modified yet, but we do know that Nintendo has added some interesting characters to the proceedings. Rosalina and Wii Fit Trainer add some estrogen to the cast while Animal Crossing’s Villager represents one of Nintendo’s biggest franchises. The most significant new character added to the fray is Capcom’s Mega Man who will join fellow gaming icons like Sonic and Mario. Smash Bros has always provided a great balance of pick up and play simplicity with enough depth to sink your teeth into. If Nintendo can improve upon Brawl’s woefully outdated online interface, Smash Bros. for Wii U can be a dangerously addictive game. Well, there you have it. Those are the ten Wii U games that I’m most looking forward to. Keep in mind that there is surely more to be announced as Nintendo tends to announce their holiday lineups later in the year. Even without the lineup, 2014 is shaping up to be the year where the Wii U will hit its stride with quality games in a number of genres. What games are you looking forward to? Let us know in the comments. Personally, I’m really looking forward to Super Smash Bros., Mario Kart 8, Bayonetta 2 and X!